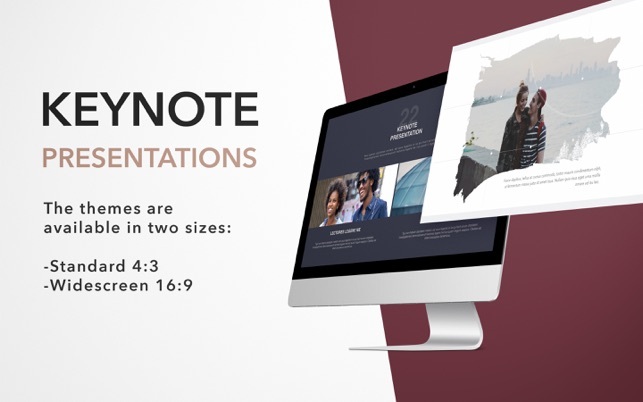 DesiGN Templates for Keynote set consists of over 30 high-quality designs for Keynote presentations. 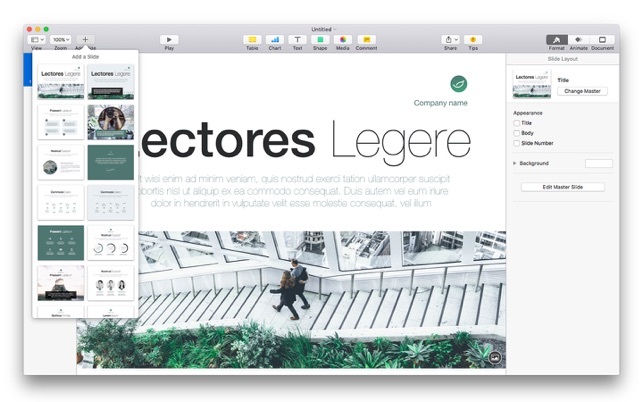 These are more than just beautiful backgrounds – each one of them includes up to 25 different master slides, which lets you choose the best layout for your information. The themes are available in two sizes: standard and widescreen. Let us take care of the appearance of your presentation, while you focus on the content. 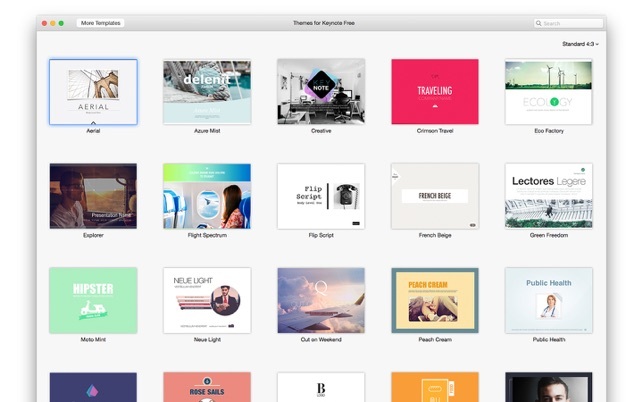 *Requires the latest version of Keynote. • Stability and performance improvements. I heard excellent feedback I will like to try it and return with a full review! 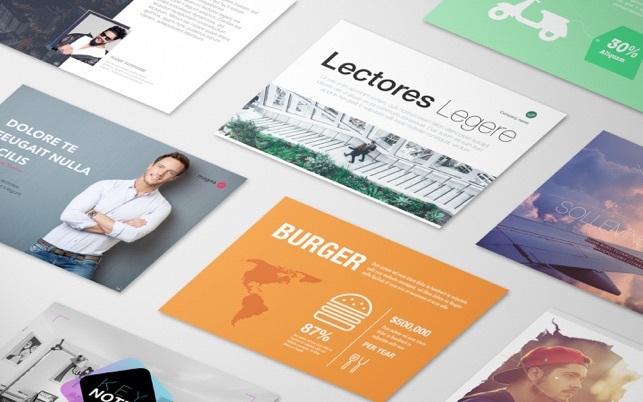 Had a great collection of creative templates. 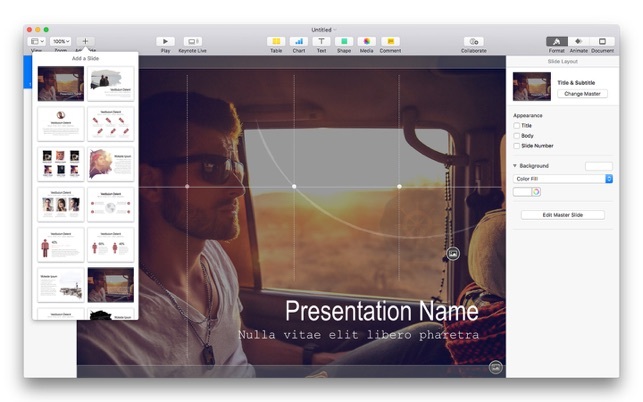 Very straight forward to install and import to Keynote. Worked perfect for me. Thank you for offering this for free.